Naughty thoughts of things like chocolate and cheese lead to naughtier thoughts of things like bread and cake. 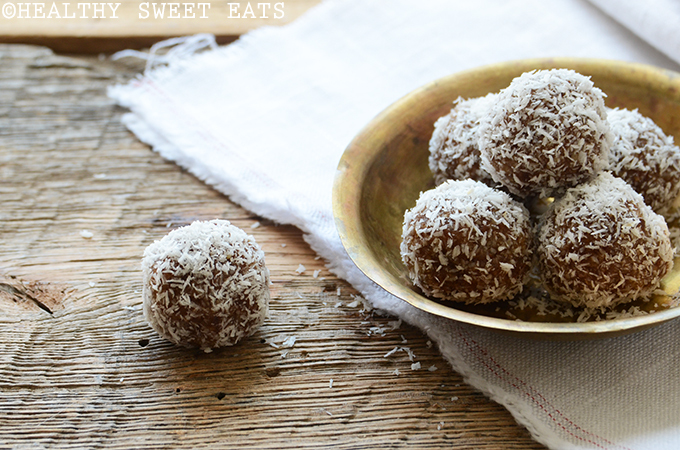 To stop this downward mental spiral, I like to combat these thoughts with a well-stocked pantry so I can whip up things like Coconut Walnut Date Bites on a whim. My favorite thing to do lately is make a double batch of these and keep them in the fridge so I can grab a couple each day around 3 pm. It feels like such an indulgence. These taste like candy. Well, not candy in a Snickers or Twix sort-of way, but candy in a more sophisticated salted caramel nut way. (Yeah, like that.) Vanilla perfectly accents the natural notes of caramel in dates and these little bites of bliss perfectly showcase this lovely combo. Do tell, Dear Reader…what’s your afternoon snack of choice? 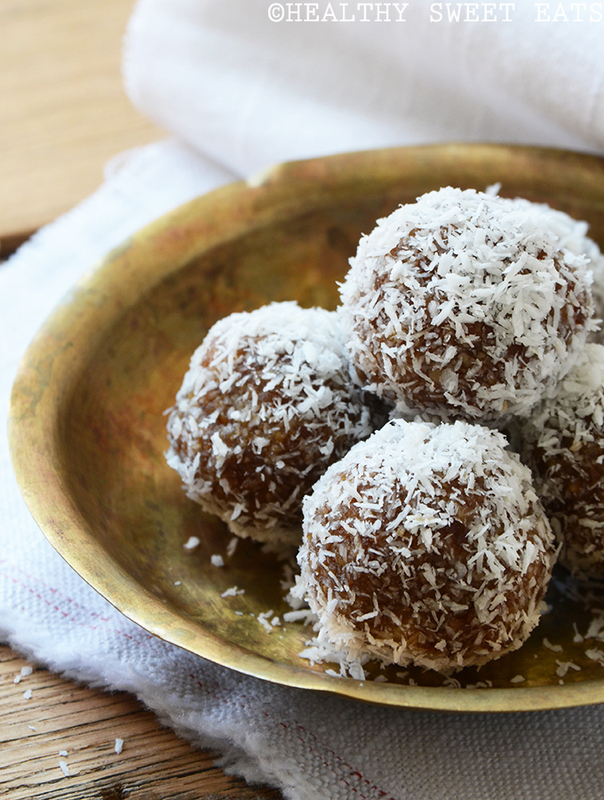 These paleo Coconut Walnut Date Bites are quick and easy to make and taste like sophisticated salted caramel nut candy; they're perfect for a mid-afternoon indulgence. 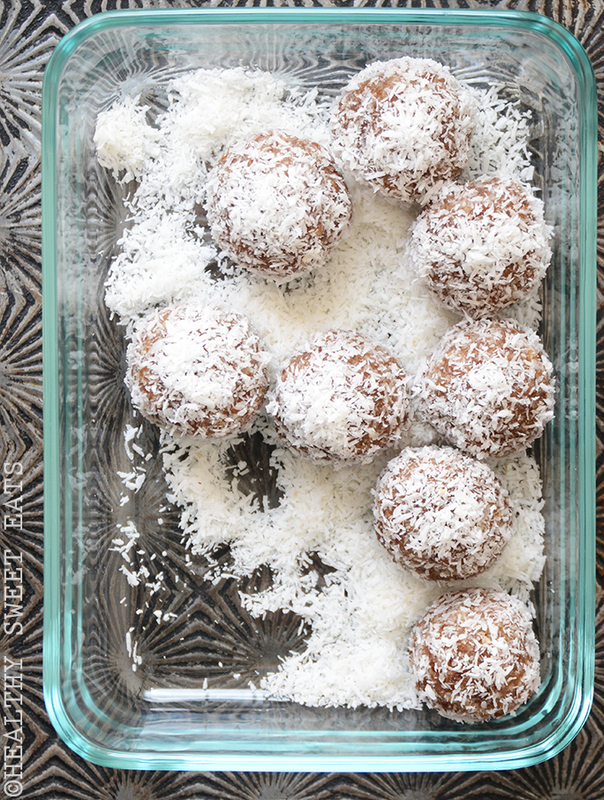 Add the walnuts, coconut flakes, dates, vanilla extract, and salt to a food processor and process until the mixture is finely chopped and hold together when you squeeze it into a ball. 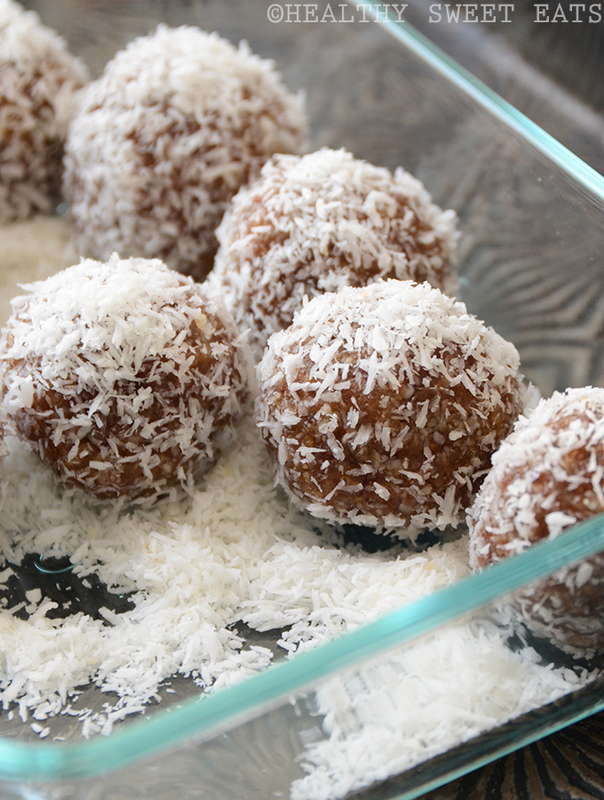 Roll the mixture into 8 balls and roll each in the shredded coconut. Serve or store in an airtight container in the fridge for up to 10 days.